Last month a modern masterpiece in concrete entered the news, when Berthold Lubetkin's daughter said that "perhaps it's time to blow [the Penguin Pool at London Zoo] to smithereens." The 1934 structure by Lubetkin, with structural engineering by Ove Arup, has intertwining, paper-thin ramps that exploited the potential of reinforced concrete at the time. Sasha Lubetkin's call for its demolition arose from the pool having sat empty since the penguins were moved to a larger habitat in 2004. It was the innovative concrete that caused the penguin exodus: the concrete surfaces led to an infection, "bumblefoot," on the feet of the birds. 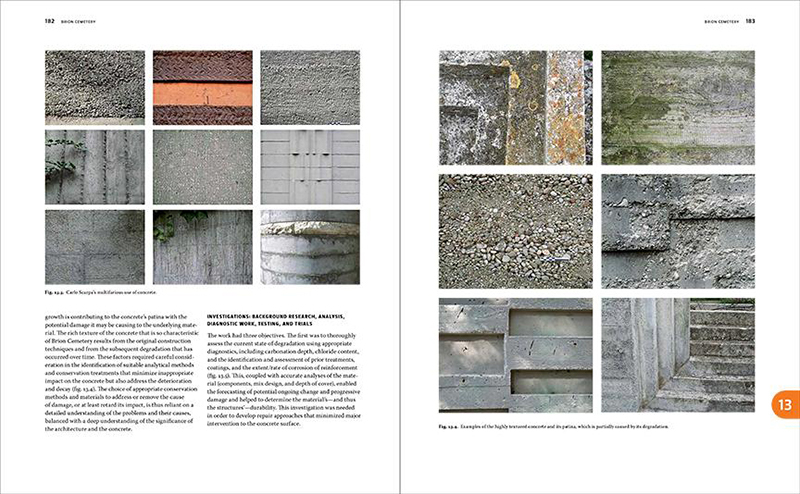 So concrete drew attention to the small structure and its inhabitants, and concrete led to its irrelevance. While most innovative applications of reinforced concrete from the modern era eventually required technical attention (the Penguin Pool was restored in the 1980s), the circumstances of the bumblefoot seem unforeseeable. But reactions to Sasha Lubetkin's words (one architect said tearing it down would be "vandalism") point to the beloved nature of modern architecture in concrete and the myriad technical issues that accompanied such buildings. 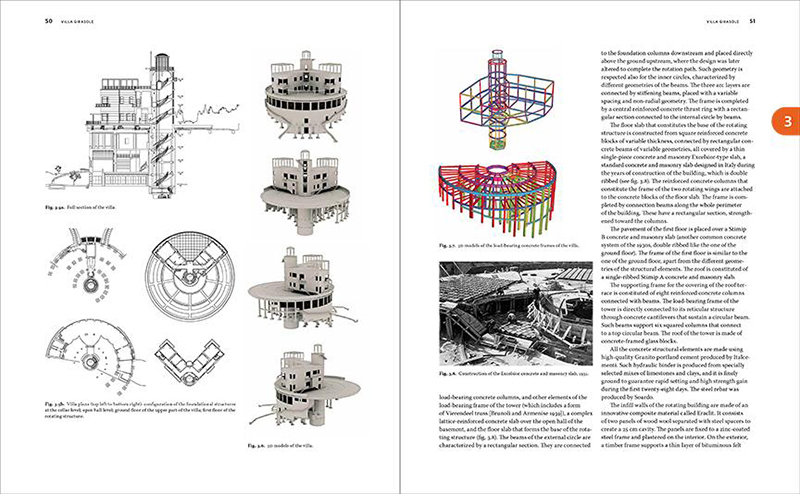 Although the Penguin Pool is not one of the 14 "case studies in conservation practice" in Concrete, the book does include the Dudley Zoological Gardens, also designed by Lubetkin and his firm, Tecton, with Ove Arup. 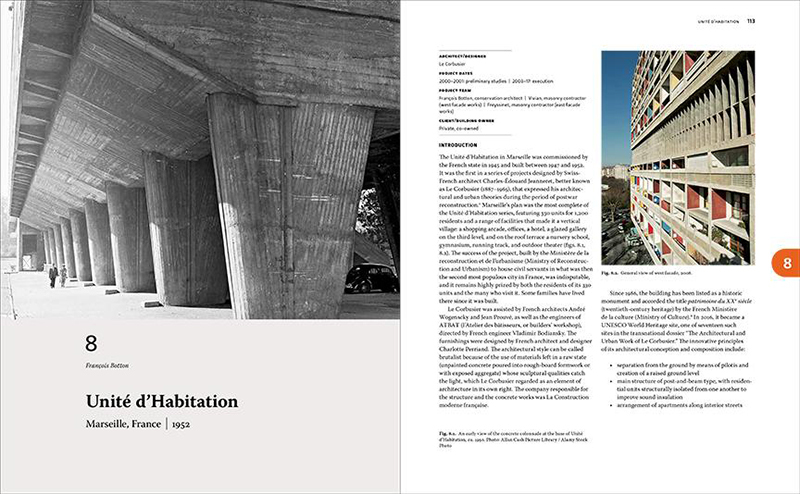 A few of the other impressive and varied case studies in Concrete are the Listening Mirrors in Denge, the rotating Villa Girasole in Verona, Oscar Niemeyer's Church of Saint Francis of Assisi in Belo Horizonte, Le Corbusier's Unité d'Habitation in Marseille, and even an outdoor Donald Judd sculpture in England. 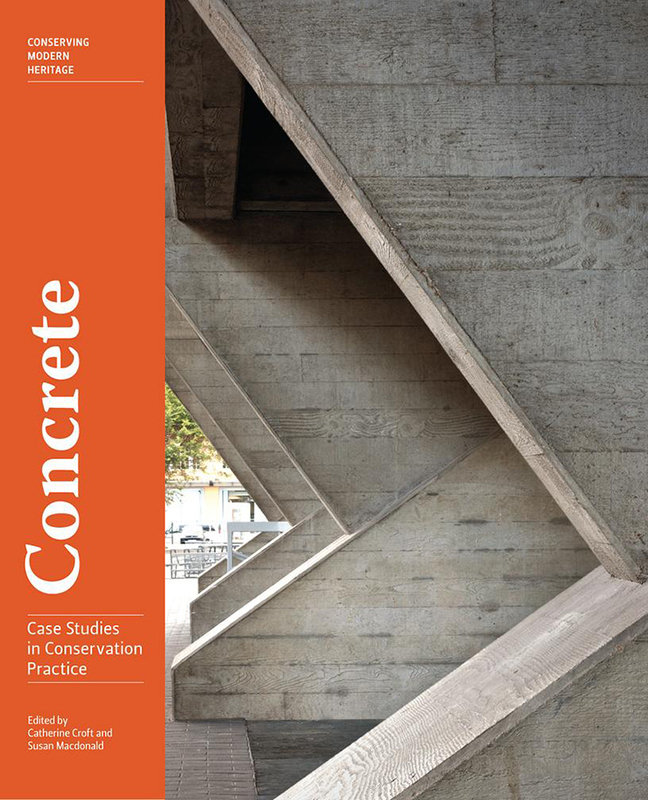 There is a diversity of function, geography, and form, equating to an equal diversity of conservation issues arising from the use of reinforced concrete. 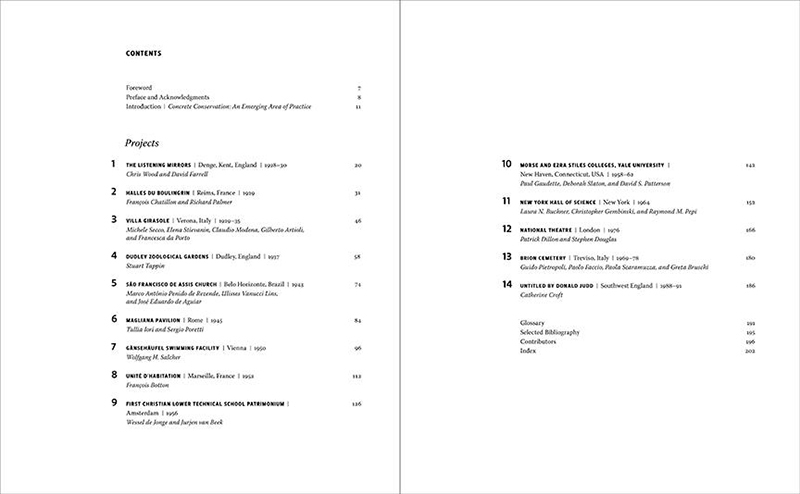 A common format for each case study presents background on the buildings and then allows Croft and Macdonald to delve into some highly technical information on research, analysis, and conservation efforts. Aiding them are lots of photographs that illustrate both the deterioration and the fixes. The conservation of innovative modern structures in reinforced concrete is very niche, but for practitioners dealing with such buildings Concrete is a must.